(TORONTO, ON - October 12, 2012) Toyota will help make history tonight as a sturdy Tundra pickup helps pull the retired Space Shuttle Endeavour across a major freeway overpass during a journey from Los Angeles International Airport (LAX) to the California Science Center. The 2012 Toyota Tundra CrewMax 1/2-ton pickup is slated to tow Endeavour nearly a quarter of a mile across the Manchester Boulevard Bridge over the 405 Freeway sometime late tonight in Pacific Daylight time zone. Tundra will pull the 5-story shuttle and custom tow dolly weighing a combined 292,000 pounds over the bridge at about two miles per hour. The pickup is assembled at Toyota’s San Antonio, Texas plant, and is equipped with Toyota’s powerful 5.7-liter V8 engine. The area surrounding the Manchester Bridge will be closed. There will be a few spots along Endeavour’s route where people can catch a glimpse of the massive space shuttle, but Los Angeles Police Department officials say access will be limited and security will be significant during the move. To view an outline of the shuttle route, please visit the KNBC-TV website atwww.nbclosangeles.com. 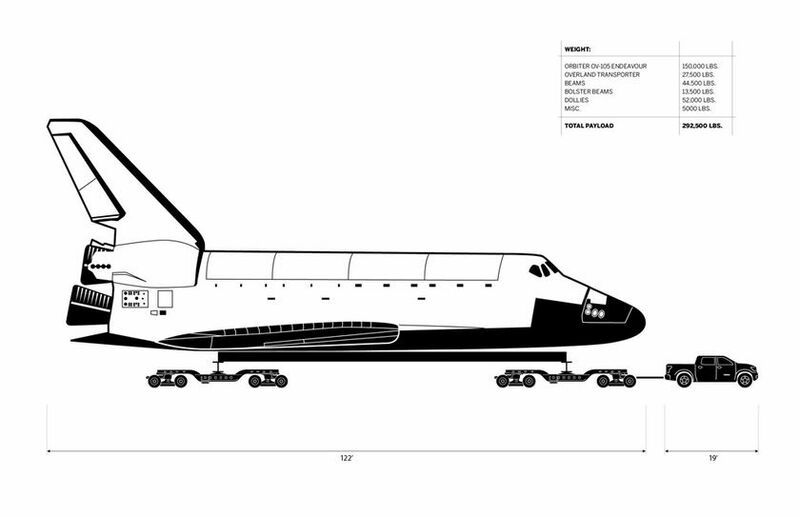 The California Science Center, the eventual home of the shuttle, is inviting people to watch the move in real time at a Goggle+ event site: http://bit.ly/RmAZMr. Toyota has launched a micro-website at www.toyota.com/tundraendeavour to provide shuttle and Tundra information, as well as offer an opportunity for visitors to contribute support to the Science Center. The Daily Breeze, a local news organization, said it plans to provide continuous live coverage of the shuttle Endeavour's slow-speed journey from LAX to the California Science Center from pre-dawn Friday to late Saturday - including photos, videos and live updates atwww.dailybreeze.com.